DTCC grabbed Gold and Silver! Posted in Competitions, Gallery, News | Comments Off on DTCC grabbed Gold and Silver! Congratulations DTCC for winning gold and silver in Bangkok, Thailand! Posted in Competitions, Gallery, News | Comments Off on Congratulations DTCC for winning gold and silver in Bangkok, Thailand! 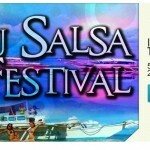 Posted in Gallery, News, Workshop | Comments Off on CEBU SALSA FESTIVAL!